I always have makeup removers on hand because they are so handy and easy to use. I keep a small travel pack in my bag for when I need touch-ups during the day. On evenings when I'm lazy, I can just pull out one of these bad boys and remove all my makeup before doing the double cleanse. 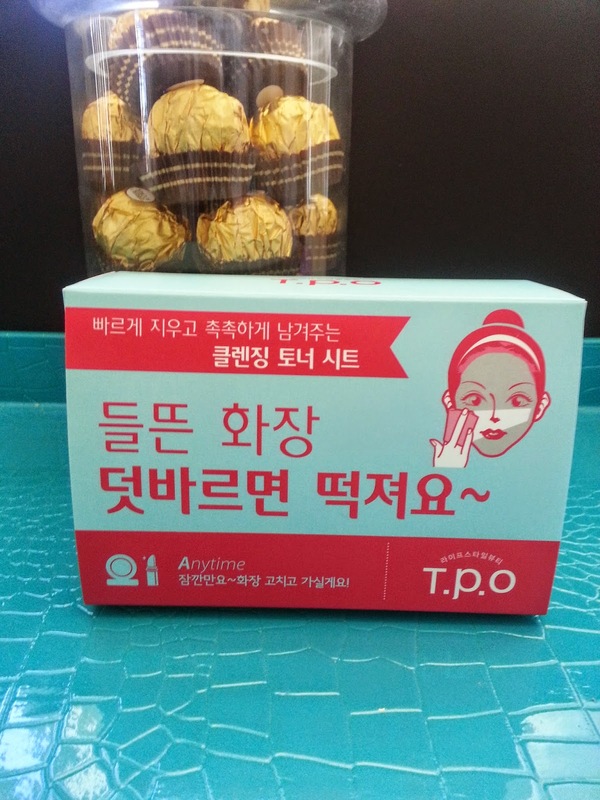 I got the Mediheal T.P.O No Wash Toner Sheets in the Jackpot box I bought from Memebox. These came just in time since I was running low on my favorite makeup remover sheets (Simple's Cleansing Facial Wipes). While its name says toner sheets, it's really more like makeup remover sheets. Such a deceptive name lol. The description tells you that if you use these sheets, you don't need to cleanse your face with face wash. I, personally, don't believe that. Cause if this is such an awesome 1 for all product, everyone and their moms would be using it. However, this is a wonderful makeup remover, and if I dare say it, it's on par with, if not better than Simple's Cleansing facial sheets. 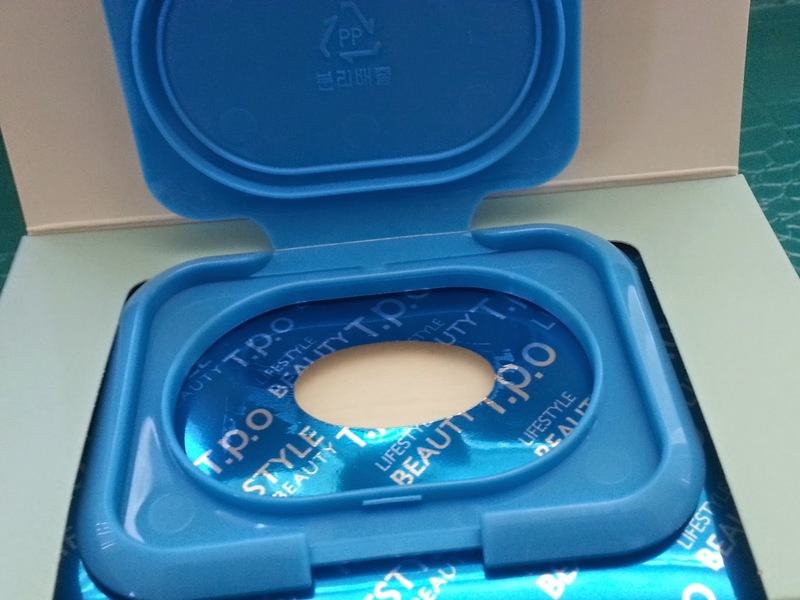 To use, simply take out one sheet and wipe off makeup and impurities. For eyes makeup and lips makeup, allow the sheet to sit on the area for 5 to 10 seconds before wiping the makeup away. 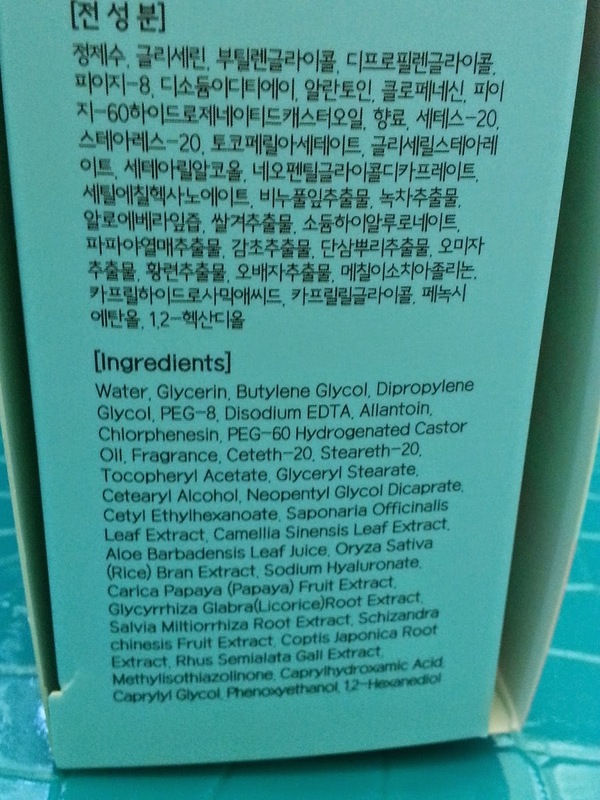 Ingredients: Water, glycerin, butylene glycol, dipropylene glycol, PEG-8, disodium EDTA, allantoin, chlorphenesin, PEG-60 hydrogenated castor oil, fragrance, ceteth-20, steareth-20, tocopheryl acetate, glyceryl stearate, cetearyl alcohol, neopentyl glycol dicaprate, cetyl ethylhexanoate, saponaria officinalis leaf extract, camellia sinensis leaf extract, aloe barbadensis leaf juice, oryza sativa (rice) bran extract, sodium hyaluronate, carica papaya (papaya) fruit extract, glycyrrhiza glabra (licorice) root extract, salvia militiorrhiza root extract, schizandra chinese fruit extract, coptis japonica root extract, rhus semialata gall extract, methylisothiaolinone, caprylhdroxamic acid, caprylyl glycol, phenoxyethanol, 1,2-hexanediol. The Mediheal T.P.O No Wash Toner sheets have some top notch, natural ingredients. It includes extracts from aloe vera, papaya, green tea, rice, and a variety of floral extracts. One of the floral extracts it includes is camellia and the sheets actually smell like camellia with a hint of aloe and green tea. Which I really enjoy. Since many facial wipes have this fake chemical made smell to them that I don't like, these were a good change. 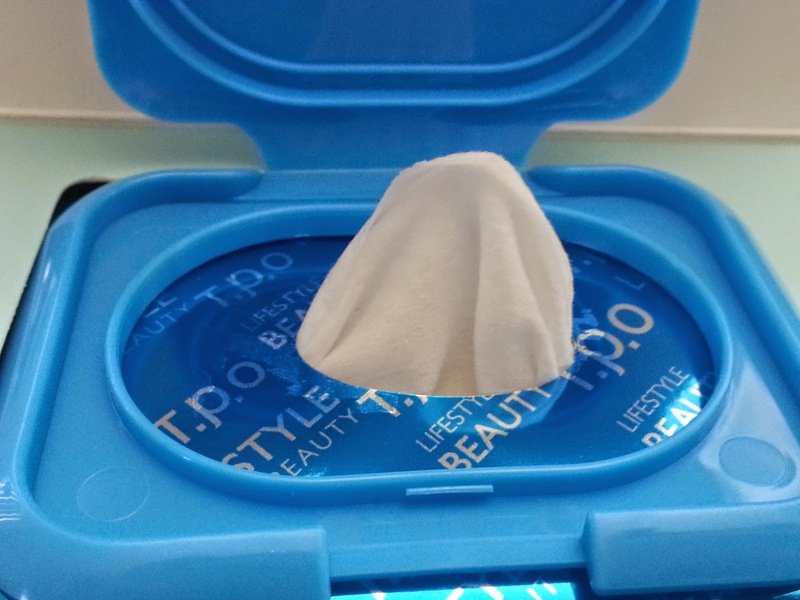 I love that the Mediheal T.P.O No Wash Toner Sheets comes with a resealable cap, it ensures that the sheets are kept moist for future uses. There are so many pluses for this makeup remover wipe. It smells amazing, feels fresh and clean when you use it, and it's great at removing makeup off easily. Its resealable cap keeps the sheets moist and it's only $14 for 30 sheets which is a great value. I took one heart off because the sheet itself is a little rough for the eyes area, so it's not quite suitable to remove eye makeup for me. While it does give you instructions and say you can use it to remove eye makeup with ease, I prefer not to because it feels rough on my eyes. Would I buy it again in the future? Most definitely! I really like these Mediheal T.P.O No Wash Toner Sheets. The lovely floral smell is calming and relaxing. Plus it actually does a wonderful job at removing makeup, even those stubborn, waterproof makeup comes off with ease. And they are at a good price for a pack of 30 sheets. 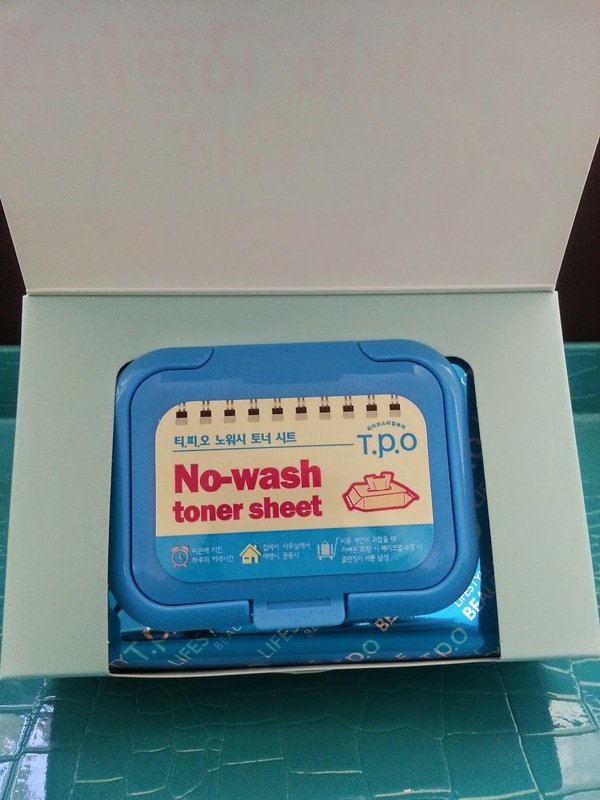 Have you tried the T.P.O No Wash Toner Sheets before? What are your favorite makeup remover wipes? Let me know in the comments below! Check out current boxes here on Memebox, plus sign up now and get $3 store credit. I get lazy too and these are so handy. I'm doing the double cleanse every night now since I have acne prone skin lol. Trying to get into a good habit.